Red Bean Pudding - Today we will use soy milk to making pudding. Sound interest? 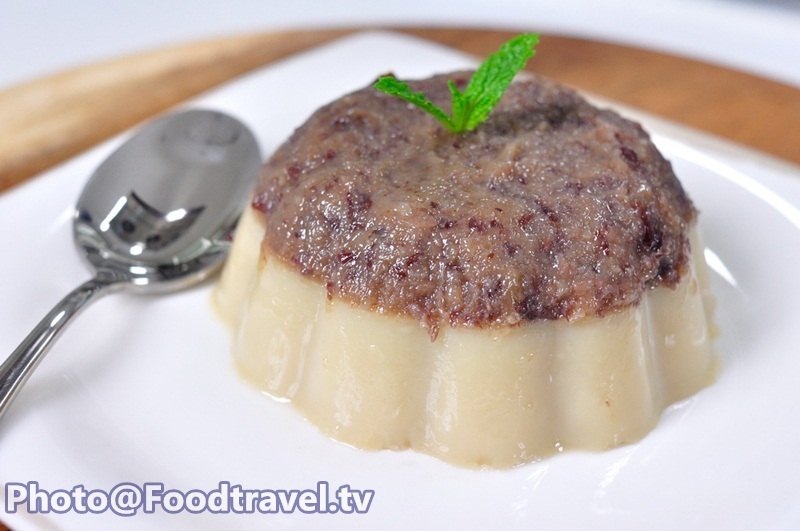 Red bean pudding is easy to eat for kids. 1. Soak gelatin sheet in cold water for about 10 minutes. 2. Blend red beans and tofu juice (300 ml.) together. 3. Boiled red bean until soft and then add 2 gelatins, brown sugar and stir for another 5 minutes. Then put in 1/3 of mold and set in refrigerator for 15 minutes. 4. Boil tofu juice and then put 5 sheets of gelatin, sugar and stir until dissolve. Pour into a mold (with red bean inside) until full. Set 1 hour in the refrigerator. 5. Dip mold in warm water and turn upside down on a plate. Ready to serve. 2. Blend red beans and tofu juice 300 ml. together. 4. Boil tofu juice and then put 5 sheets of gelatin, sugar and stir until dissolve. Pour into a mold with red bean inside until full. Set 1 hour in the refrigerator.